Is Your Work Continuous in Nature? Looking for Reliable Resources and Reasonable Price? We guarantee you reliable & cheapest service; no one can give you in our industry. We offer good discounts on bulk/regular work. ClippingPathService360 is an offshore outsourcing company which serves its global clientele with a motto to provide superior quality image clipping path service at very reasonable prices. We are one of the leading clipping path service provider company in the industry and are staffed with experienced full time professionals who know how to bring desired effects on various types of images. We provide fine quality paths at very low cost and make sure it's delivered within the stipulated time frame. No advanced payment is required when partnering with us for your clipping path needs. We have express service for web shops, online stores and other concerns that require fast turnaround time for their work. You can count on us for all your clipping path work and focus on your core business activities to get better results of your business operations. Thank you for the clipping even though it was a national holiday. It is much appreciated! Awesome!!! You are a force of expert digital artists. 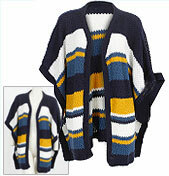 You are doing an excellent work on our clipping path fashion store images. We are ready to carry out complimentary samples for you to check the quality of our work and receive the quote as well. There are several uses of image extraction, we have a team of experts which will ensure that images have flawless outlines and clarity after their background has been removed. We offer high-end clipping path services from India with perfect detailing. You will get impeccable outlines when you will outsource your clipping path job to us. You will be amazed to get beautiful outcomes by our clippers. In showrooms, we find clothes are shot by putting them over mannequin, to give the complete appearance. We can cleanly remove the mannequin and provide a wonderful look which makes them perfect for online stores and advertisement purpose. It is absolutely true that shadow effects create a sense of depth, giving the impression that the object is slightly raised above its background. Using advanced blending and softening techniques, we at Clippingpathservices360 can create any kind of shadows. You need several sizes of images to be used in the web shop/store. Give us the specifications like thumbnail, zoom, size 800x1200 px and crop images, etc. and our experts will deliver good-looking images to you in no time. We have been providing manual clipping path services with perfect accuracy for our valued clients in the USA, the United Kingdom, Germany, France, Netherland, Poland, Switzerland, Canada, Denmark, Norway, Australia, India and several other countries. You can send us any type of file format such as JPG, TIF, PSD, EPS, etc. in any size. Get our free trials of clipping path service with absolutely no obligation. ClippingPathService360 offers industry specific solutions like clipping path, image cropping, resizing and website image optimization for Online Stores/Shops. This further includes neck montage, adding, mirror shadow, original shadow, drop shadow, shadow/reflection removal, color correction and retouching for product/model shoots and much more. This implies taking one part of an image and putting it in another. We are expert in image manipulation. We perform the clipping path process by using pen tool & filter to remove the background from model shoots. We can fix any spot/dust on the piece of clothing using our adroitness in clipping path. Dresses are usually shot by placing them over a mannequin; we give them professional appearance and make them web-ready. 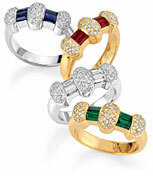 Jewelry:Color enhancement is very important when it comes to jewelry. We retouch minor details using professional clipping path to make it eye-catching. To make the products more attractive, after removing the background, we can add mirror effect to them. Our designers can give beautiful shadow effects wherever required. Background removing, editing and retouching of all kinds of fashion products is done by us. Being the best clipping path company in India, we offer cost-effective and quality services ranging from simple to the multi clipping path. Clipping path images can be used with ease to fulfil the commercial purpose in e-commerce websites, catalogs, flyers, brochures, magazines, posters and all other fields where usage of images is imperative. Our unlimited revision policy without any charges make sure that our clients are 100% satisfied with the final products. If our clients find the images delivered by us less than perfect, they can drop us an email and we will revise it. We edit, manipulate and retouch images with great care and deliver 100% manual top-notch quality clipping path with great accuracy. 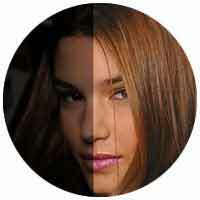 We offer edge-to-edge, precise tracing handmade clipping paths. Image clipping path (a technique achieved using pen tool) is considered the most efficient image masking technique. It reveals only inside part of paths of an image while hiding the rest. Usually it is used to knockout the backgrounds. With a number of Clipping Path companies present in the market, it's hard to decide the best to go with but with long years of experience in the industry and a robust team of professionals, we can be the best choice for your clipping path requirements..
We are an India based clipping path company that consists of well-experienced professionals offering services for extracting objects or people from still imagery that typically includes other photo editing and manipulation services. As a Clipping path service company, we provide services at comparatively low cost to many companies across the globe. Masking of images has become a vital part of image editing, especially for product catalogs, various brochures, calendars, magazines, posters and photographs used for online shops. It is very eye straining and immense experience professional's task to achieve desirable results. Our experts use special tools and methods to provide 100 percent satisfactory outcomes. Our photo retouching outsourcing company from India provides professional photo retouching services at affordable prices. When the subject's appearance hampers in photo, retouching become a necessity to enhance the look of the photo. Enhanced images can empower a lifeless project and make it look excellent. All types of fashion clothing, shoes, accessories, handbags and jewelry items etc. fall under this category, which are the most commonly used in life. 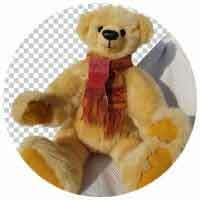 The clipping path is manually drawn by pen tool to isolate an image from its background. When clipping path is used to an object photo, anything within the path is included and everything out of the path is left off. It is an easy way of clipping the original background of a photo to use new background. We offer the best quality clipping path within your budget, all image paths are created by our immensely experienced professionals using the up-to-date technology. An image clipping path gives the freedom to cut out the foreground object and make everything else transparent. Complex clipping path job is done on photo products, prototyping various complex shapes that require maximum 45 minutes for hand-drawing clipping-path. Complex path is a high-level image execution service compared to the normal. We are a premium quality clipping path provider company in India with a well-experienced professional team working for many years over maintaining the tremendous quality of images with the best effort. super complex clipping path is more complicated image tracing function compared to the both normal and complex clipping paths. We provide stunning quality super complex clipping path services at reasonable pricing. This path has several holes, complex structure and it takes very long time to make path edge that is compounded in nature; but with hands on experience, our designers do it in a perfect way. Multi clipping path which is also termed as color path is widely used as an add-on clipping path and helps in changing the color of definite or specified parts of your photo and it adds an extra color effect. This path service is used to isolate the definite parts that require a change of color around specified elements and then you can avail color path service. By performing multiple clipping, our designers can change the color of each and every part of your photograph very easy. Even an opacity change of various forms and adding multiple path or color filters & effects etc. 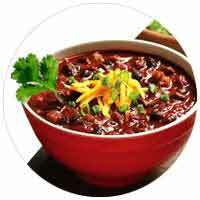 for manipulating your photograph can be done in very short time with our image clipping services. Get appealing images by modifying the look of the image in terms of background change, multiple filling and opacity change of individual components with this excellent service. Trusting an offshore clipping path provider company to outsource services such as path creation is a greater concern, particularly when looking to build a long term relationship with the company. We are confident of providing you quality work with quick turnaround. ClippingPathService360 has immense experience in its domain as a clipping path company, as it's our core area. 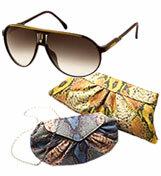 Lower your operating costs and increase your profits by outsourcing your clipping path work to us. Our ability to incorporate technology & management skills makes us distinctive and the natural choice as your outsourcing service partner. Even if we have 12 hours time zone difference; it gives you the benefit to receive back your work, very next working days when you come into office with full exuberance. We are an affordable & the best clipping path provider in our domain. We have a state-of-the-art offshore graphic studio providing amazing image clipping Services from India. Our clipping path services ensure global standard output with highly skilled force at minimum cost that will help you to increase your sales and save big. We ensure both quality and quick turnaround with complete privacy of your intellectual property. We are ready to carry out a FREE no-obligation sample work to earn your trust based on the quality of our work. Copyright © 2016 ClippingPathService360. All Rights Reserved.